Package Includes up & down Sleeper class Train Tickets ( Subject to availability , so plan your date of tour accordingly)+ During yatra stay Breakfast, Lunch & Dinner at self Service stalls +Yatra Registration Pass on priority basis+ Accommodation in Camping as per Itinerary + Non ac Coach+ Sightseeing of Patnitop , Jawahar Tunnel , Jhelum River , Ramban etc. if You are from outside Zahirabad then come to Nearest Railway Station & we will provide Sleeper Class Train tickets to Jammu & from Jammu our representative will pickup you for amarnath Yatra & after completing your trip we will drop you again at Jammu Railway station for your further train journey till your starting point railway station. Both Side Train Tickets of Sleeper Class ( If You want to get above class train tickets like 3rd ac, 2nd ac etc then you will have to pay the difference subject to availability) , Breakfast, Lunch & Dinner Inluded in the Package. Train Tickets may not available to all dates so manage your date of Journey accordingly. If Your city doesn’t have Railway Station then come to Your Nearest Railway Station. ( Minimum Persons in a Group should be 5 or more , if you are less then 5 Persons then check the Price with us. Early Booking Discount Flat 50% Per Person till stock Last. Arrival at Nearest Railway Station , catch the Train , get your seat in sleeper class. Sleep and relax till the time arrival to Jammu, meet with Our Representative, Pickup from Jammu Railway Station with non ac coach , drive to Pahalgam ,checkin into camping at Nunwan. Dinner & Overnight Stay. Rest of the time Leisure. On Day 2, After Breakfast, catch the local vehicle, arrive to chandanwari ( leave sharp 5 am to chandanwari ) , show your permit, trek to Sheshnag, Lunch & Dinner in Sheshnag . Overnight stay in Sheshnag camping. After Breakfast, will go directly for darshan , return in the evening to panchtarni Lunch, dinner in Panchtarni. Rest of the time relax, overnight in Panchtarni in Camping. After Breakfast, trek to Chandanwari, at Sheshnag Lunch, arrival to Chandanwari, from there catch local vehicle , arrive to nunwan, dinner & Overnight stay in Camping. Today is Last Day of Your Journey. After Breakfast you are free to go for local shopping by your own, once completed our representative will drop you at Jammu Railway Station as Per Train timing. from there you catch your Train to your starting point railway station / Zahirabad come to Zahirabad . Tour terminates here with our sweet memories. Accommdation as Per Itinerary in camping on sharing basis. Breakfast, Lunch & Dinner at self service Stalls as per itinerary. Sleeper class Train tickets from your location railway station to Jamu & Back. Non Ac Coach & Local non ac Vehcile for your transporation as per Itinerary. Any Other Expenses which is Not mentioned above. Arrival at Nearest Railway Station , catch the Train , get your seat in sleeper class. Sleep and relax till the time arrival to Jammu, meet with Our Representative, Pickup from with non ac coach , drive to Srinagar ,checkin into Hotel at Srinagar. Dinner & Overnight Stay. Rest of the time Leisure. On Day 2, After Breakfast, catch the vehicle, arrive to Baltal . Lunch & Dinner in Baltal .Overnight stay in Baltal camping. Rest of the time Leisure. After Breakfast, will go directly for darshan , return in the evening to Baltal . Lunch near Sangam , dinner in Baltal. Rest of the time relax, overnight in Baltal in Camping. After Breakfast & Lunch , drive to Srinagar, on the way sightseeing of Sonaamrg, In the evening arrival to Srinagar, , dinner & Overnight stay in Hotel in Srinagar. 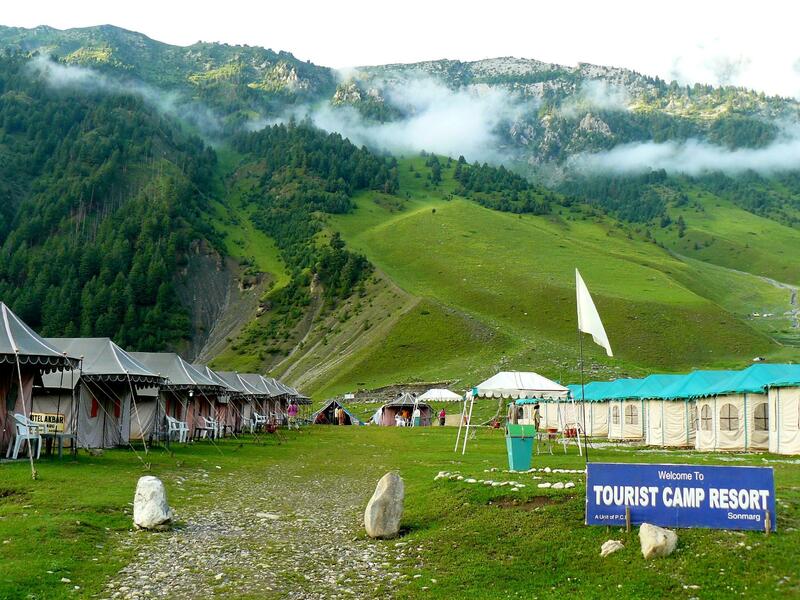 Accommdation as Per Itinerary in camping & Hotel on sharing basis. *Apart from Amarnath Yatra , you can book Kailash Mansarovar Yatra, Chardham Yatra, Manimahesh Yatra, 5 Devi Yatra, Maa Vaishno Devi Yatra, Haridwar Yatra, Rishikesh yatra, Kumbh Yatra, Kawariya Yatra, Bholenath yatra, IRCTC Yatra, Jyotirlinga Yatra, Kashi Vishwanath Yatra , Naina Devi Yatra, Jawala Devi Yatra, Maa Chintpurni Yatra, Bagla Devi Yatra, Maa Brajeshwari Kangra Devi Yatra, 51 Shaktipetth Yatra, Maa Kamakhya Devi Yatra, Kedarnath Yatra, Badrinath Yatra, Yamunotri Yatra, Gangotri Yatra, Rath yatra Puri, Rameshwaram Yatra, Dwarkadish Yatra Sirdi Sai yatra, Tirupati Balaji Yatra, Sabrimala Yatra, Vrindavan Yatra, Braj Yatra, 56 Kosh Yatra , Ramayan Yatra , Ganga Sagar Yatra, etc at very very discounted & Cheap Price . Discount upto 50% available. Hurry Send your query now.